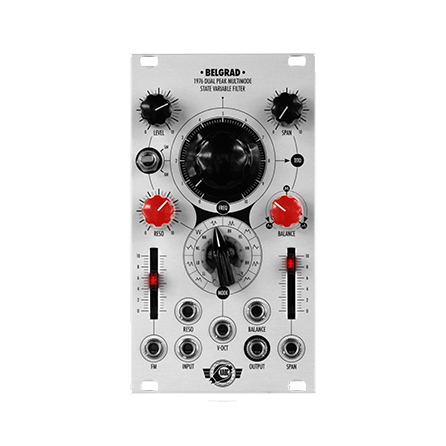 Belgrad is our first all-analog voltage controlled filter module which—on par with our other modules—brings something new to the table. While it can be used as a traditional VCF for “academic” subtractive synthesis, we guarantee countless hours of exciting timbral explorations thanks to its unique character, flexibility, and features. The most prominent feature is that it offers a multitude of frequency responses with two resonant peaks. For detailed description, please refer to the manual.